Our service covers a limited range of the radios fitted to ROVER cars including MG.
Rover CC32 & CD32 (Blaupunkt 7 642 xxxxxx and 7 649 xxxxxx) and others. Blaupunkt 7 640 xxxxxx and others in MG. Older Grundig radios fitted to Rover cars up to year 2000. 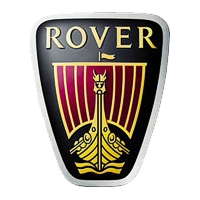 Unfortunately there are many Rover codes we are currently unable to supply. Codes for Clarion radios (model numbers prefixed PU); Alpine radios (serial numbers prefixed AL); the later Philips units (after 2000); and some Grundig radios, can only be recovered from the vehicle manufacturer's database which we do not have access to at this time. We are therefore UNABLE TO DECODE these units. If you ask us for one of these we will pass on whatever information we can and we will refund the fee, after deducting a small 0.45p payment processing charge. You will need to pull the radio from the dashboard to read the numbers needed from its chassis - this will be on a printed label, engraved on the metal case, or both. 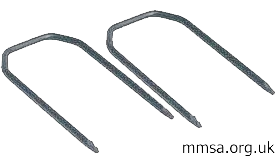 On some Rover radios, extraction 'keys' (often of the twin fork type shown here) are required to remove the radio - don't be tempted to try removing the radio another way or force it as you may damage the surrounding dashboard trim. The keys make it easy - you can find them in motoring stores or online. Some Rover units are extracted using a suitably sized Allen key to release bolts on either side of the trimplate (the small holes are visible without removing the trimplate), then pull the radio free. Others (including the MG ZT) require the trimplate surround to be unclipped to reveal two larger screws top and bottom - undo them and then pull the radio out.